The reconstruction of the Turcot Interchange is a $3 billion infrastructure project with effects on regional automobile dependency and global climate change. However, it is also situated between the communities of St-Henri, Westmount and Côte St-Paul and will have major local impacts on those communities. The new Turcot will be more efficient at moving vehicles, thus allowing more cars to pass through it and the neighbourhoods it crosses. This additional capacity will involve more pollution, noise and vehicles entering and exiting the highway on local streets in surrounding neighbourhoods. The increased traffic entering the city will eventually enter the local street network. This increased traffic will create more congestion, more pollution and more road injuries. 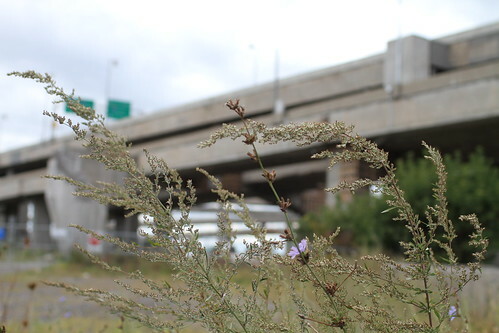 Every year in Quebec, between 600 and 700 people die every year on the roads; a larger Turcot will dump more cars into the city, we will witness more tragedy on our streets. Poor air quality has been estimated to cause 1300 premature deaths on average per year in Montreal; over 250 of those are related to transport emissions. A bigger Ville-Marie will increase this number, resulting in poorer air for everybody, but especially those living close to the highway.